My personal preference was not to watch AI this season but behold I had it on last night for background entertainment. Did not see all of the young people auditioning but those I heard one thing came to mind as I assume many others felt……he/she is not David Archuleta. 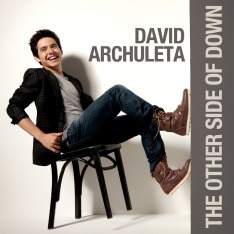 But who is except David Archuleta? Obviously, comparing them to our Angel will only diminish their talent in our eyes as it did for me when this young man sang “And So It Goes”. I ran to Youtube to hear David sing this song Paula chose for him by Billy Joel. Not even close, no one can touch David’s talent. He has spoiled me for any other singer and my love and admiration for him has grown over these past months. My IDOL is and will always be David, but if anything I have learned from him it would be respect and his true earnest interest for other artists. For this reason I will continue to observe AI this season from time to time and my hope is to definitely see David on the show this season performing. He is magical and has brought great music for all to hear and learn from. American Idol Season 7 will always be close to my heart. Good Luck to the new contestants on Season 8 and make your families proud. Your dreams are only a song away! I’ve made a conscious decision not to watch A.I. this season except if David is invited back on as a guest. I simply know too much now about the back room shenanigans, politics, and manipulation to be able to innocently enjoy the show. I must admit that I have never been a huge fan in the first place. I was always uncomfortable with the early auditions and, in fact, would often change the channel or leave the room when someone had a particularly bad audition. I couldn’t stand the exploitation taking place. Sure, there are those who know they cannot sing and are only seeking their 15 minutes of fame, but others you can tell really believe they have talent, and I cannot bear to watch these people used for ratings purposes. Time will tell if it works out better for David coming in 2nd. At least for now Cook is enjoying the benefits of unprecedented publicity and promotion by his record label, plus the added favoritism being shown to the winner by radio stations, television, etc. I was appalled to hear that Cook’s song has received twice the number of spins as David’s; that despite the fact it is not selling nearly as well. It’s not clear whether this is the result of favoritism by music directors for the winner in general terms, or whether they tend to prefer Cook over David. I think it is a mixture of the two, with the title holder understandably receiving some perks, and at the same time a bunch of what are most likely middle-aged white men prefering Cook’s musical style. Sure, David has been quoted as saying nice things about Idol and that he plans on watching, etc. Would you expect sweet David to say anything else? I doubt we will ever hear any publicly aired complaints from the Archuletas. They are a class act. I do know however that David has said he is anxious to move past Idol. Also, during one of his Jingle Ball interviews in December he was asked if he planned on watching Idol. He said something to the effect he wasn’t sure he’d have time, and that it depended on his upcoming tour schedule. While very diplomatic, I could sense he was not showing his usual enthusiasm for things that interest him. All that being said, I’m not advocating a boycott of Idol. No one should feel they need to justify their reasons for watching or not watching. I respect everyone’s personal choice, and will not think more or less of someone based on that choice. We should be able to openly share our thoughts here without fear of angering or upsetting others. I’ll end this by saying I’m rather pleased to report that so far ratings are down 10%! Oops! Make that “Nigel” Lythgoe! Update: Thanks, minja, for adding back in the edit feature. I almost always have errors and typos, which I discover only after posting! Katheryn I totally agree with you on how the show manipulated David and the rumors about Jeff. I too was not a fan of Idol until season 7. I still feel David won but was not announced as the winner. On week 4 Ryan announced only 1 million votes separated them so I find it funny Cook would have 12 million after Jason and Syesha left. Nevertheless, it is passed and I hope David remembers this as a growing experience and moves on. Yes, you are right, David would never say anything negative, but he does have appreciation for other people and compassion for them going through the AI process and would wish them luck. I too wish them luck; it will be a difficult time for many of them. My interest will be to see David perform and blow them away (judges and audience). As for Cook I really thing he is a flash in the pan and many industry people don’t feel his music will be lasting. As for David he is that special gift that only comes along in so many years, it’s his time now and we will benefit from his long and successful career. Cream rises to the top and that’s where he belongs.